One of the most commonly asked questions I get as a destination wedding planner is, “How do you plan weddings in places you’ve never been before?” The answer? I work really, really hard. If you know me, you know that I don’t try to sugar coat things. I like to be as up front and realistic as possible because false pretenses make me uncomfortable and I don’t like surprises. So, I will not offer you a bunch of flowery language as to how breaking ground in a new destination is a piece of cake – because it isn’t. It takes a lot of research, interviewing, trials, and vetting to assemble and trust a new vendor team that will flawlessly execute the effortlessly beautiful event that I have worked tirelessly to be known for. What does that process look like? To best explain, let me share a bit of my professional history. In 2010, I moved to Charleston, South Carolina to take a position as senior event planner for a high end event planning company. I left a job in Charlottesville, Virginia with a hugely successful event planner who, in recent years, has been voted by Vogue to be one of the top planners in the country. It was a fantastic foundation to have under my belt. I made the transition for many reasons, but the main one being that Charleston was the number one wedding destination in the country (well technically, number two behind Las Vegas) and I wanted to be a wedding planner in Charleston. So sight unseen, I drove down for my interview, accepted, and moved to the Palmetto State three weeks later. As an event planner in Charleston, it’s safe to say that 95% of your clients are coming in for a destination wedding, therefore the demand for event assistance is high. It quickly became second nature to work long distance with every bride, usually only meeting with in them in person two or three times before the wedding. When the couple or family was able to come into town, the day we would have with them would be scheduled full of vendor meetings, tastings, and site visits. I learned how to be productive and effective in a short period of time. In many ways, I think working with destination clients can be more efficient than working with local clients because you are forced to plan ahead and make the most of your time together. The best source of new business is referrals, so naturally with guests of destination weddings we would get called by a bridesmaid, relative, or guest who experienced our work first hand and be invited to do their destination wedding elsewhere. While I was with my previous company, we were taken to Napa Valley twice (St. Helena and Calistoga), Atlanta, North Carolina, Virginia, San Diego, and Sea Island, Georgia. And so it began…discovering and mastering breaking into new markets. If I had to name one thing that kept us afloat and was our key to survival, it would be vendor connections. THAT, ladies and gentlemen, is why an event planner is so valuable – because of who she knows and, in turn, who her contacts know. What I bring to the table is a history of working side by side with multiple vendors, intimately learning what they do best and trusting them as experts in their fields. 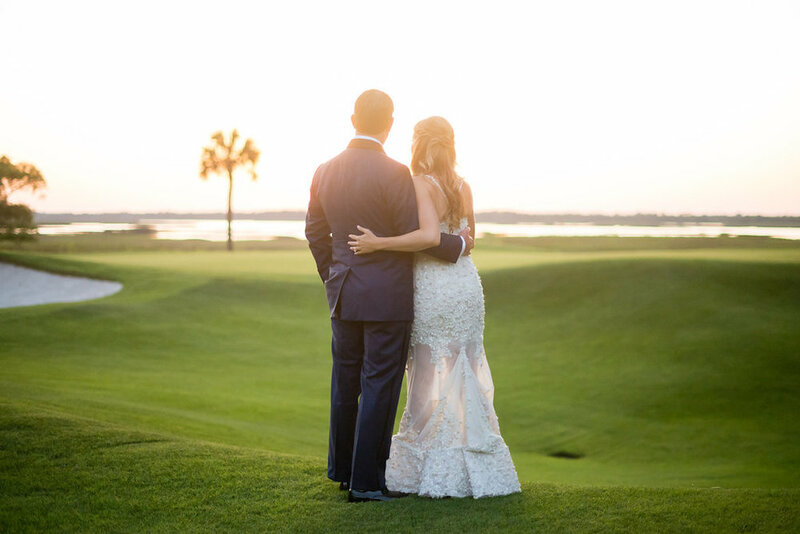 As the number one (okay, number two…) destination spot in the country, it makes sense that Charleston attracts the best wedding vendors in the country. So who do I call when I am hired in a new destination and know no vendors? You guessed it, my Charleston professionals. As the best in their field, they too are pulled to new markets. If they haven’t served as the lighting professional or tent provider or florist in the location where I am headed, chances are they know someone who has. Not only do I know and trust these vendors, but these vendors know my standards and what I expect of a vendor. If they can’t come fulfill the job themselves, they will only recommend the best who will do as well of a job as they would. Vendors and vendor connections are my lifeline. They are my vetting process. I owe so much to the vendors who support me to make my clients’ visions come to life. Once I have the recommendation of my trusted vendors, the vetting process doesn’t stop there. At that point, everything is in my hands to ensure that they can execute and are the best fit aesthetically and financially for my client. This involves countless phones calls, site visits (when possible), logistical planning, and number crunching before the client introduction or contract is ever made. And in some cases, I decide it’s not the best fit. This is the hard work I’m talking about. It is a process – much more so than planning a wedding in Charleston or a destination I’ve worked in before. It is a process and it should be. This is my value added as a destination wedding planner. Any planner who tells you it’s a piece of cake is doing themselves a huge disservice. So how did I grow my destination business to be where it is now? Out of necessity. In 2012 I was married and transitioning out of my current job to leave Charleston full time to live with my new Marine husband who was stationed on the coast of North Carolina. Events by Reagan was born and came out of the gates with a dream client. Being just a few hours from Charleston, most of my weddings continued to be in the Lowcountry and I also had the opportunity to expand my markets. In short time, I added New York City, Asheville, Charlottesville, Kiawah Island, Winston-Salem, Kansas City, and Charlotte to my laundry list of cities where I’ve planned weddings and events. With each new location my vendor list grows, adding value to my services and freeing me even more so to keep going and keep breaking ground in new places. While I have been working the Southeast vigorously for the last five years, I am ready to set sail and start working internationally as well. I hope to spend the next five years expanding my business to serve as an international wedding planner for couples who see beyond US destinations. My first opportunity is just a few short weeks away and my excitement is at an all time high. What better place to get your feet wet than in the beautiful Tuscan countryside?